Avi-Art - Limited and open edition aviation art prints, signed by distinguished World War II pilots. 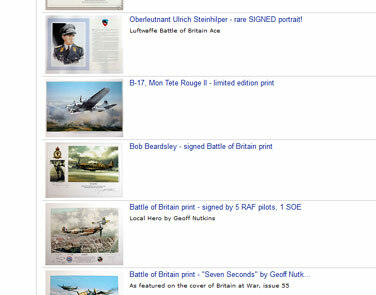 A collection of 12 rare limited edition prints, each signed by at least four RAF Battle of Britain pilots. Geoff Nutkins has been painting aviation art for over 20 years. His works are displayed in collections worldwide and are frequently used as illustrations in books and magazines. 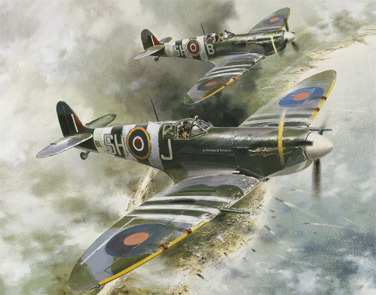 In conjunction with the Daily Telegraph, his Scenes of the Battle of Britain collection helped raise £100,000 for the RAF Benevolent Fund. Special Offer - Free Print! 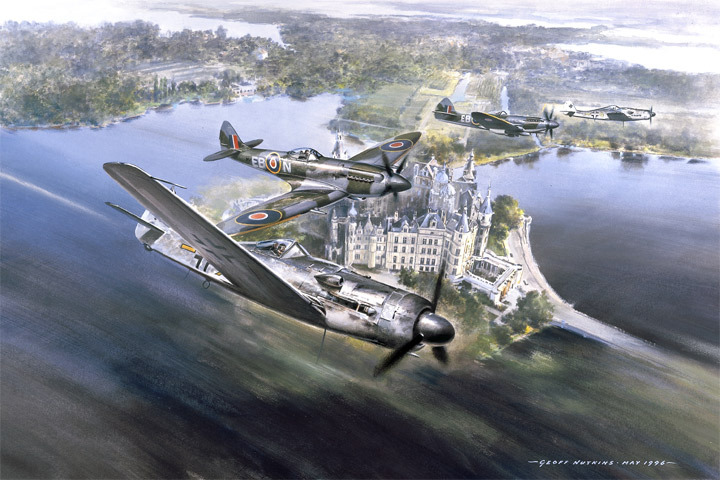 Depicting one of the last encounters in the air war over Europe and individually signed by all four participants, this fine limited edition print is yours for free if you spend £200.00 or more (excluding delivery costs). Don't miss out, this offer is for a limited period only. 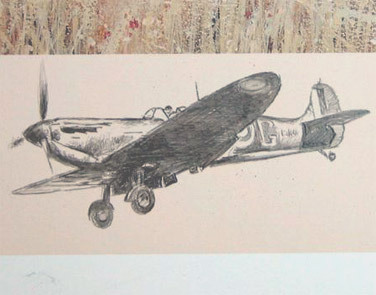 Looking for Spitfire prints? You've come to the right place. 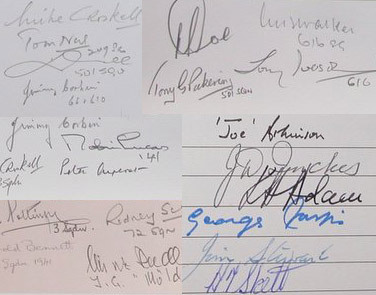 Don't forget to visit our eBay Shop for end-of-edition and one-off pilot-signed prints. 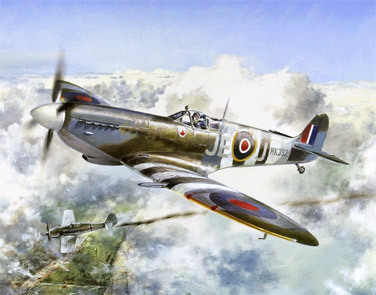 Many of the aviation art prints are individually signed by RAF, USAAF and Luftwaffe pilots, making each one unique. If you'd like to place an order you can do so in confidence via our secure server. We dispatch worldwide. If you have any questions, don't hesitate to get in touch.